Convenient and safe - No wire needs, no electric cost. Low voltage so safe for you. Auto On/Off - Built in high-tech light sensor, this led fairy string light will turn on at dark and turn off at dawn automatically. Light up to 8 hours with a full battery charge. Attractive - Clear and crystal balls, no matter on plants, Christmas tree, fence, patio and so on, they look charming. 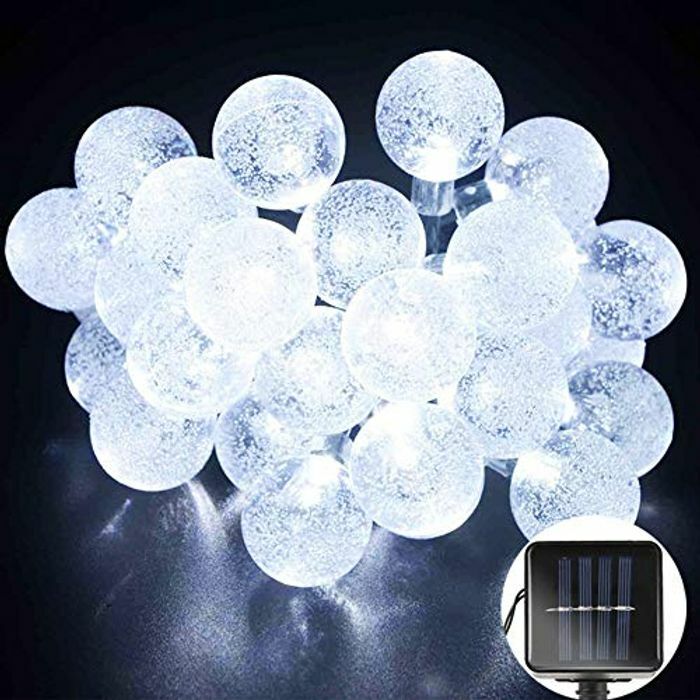 IP65 waterproof - Thick and strong plastic ball and enough gums protect each LED from rain and snow. Waterproof designed panel, more durable, long-lasting and cost-effective. Satisfaction guarantee - If any of our products fail to meet your expectations, please get in touch with us and we'll try to resolve the issue. If unresolved, you'll get a refund or replacement. hiraj143, thank you so much, finally got a freebie today.. Thank you, they were free for me. If you have collected voucher earlier, then it will be free. Just the thing I was looking for ! Thank you !